Speaker of the Lithuanian Seimas disagrees with President Dalia Grybauskaitė's criticism over the parliament's agenda being packed with insignificants issues. "I believe there are a lot of important issues, and by dealing with social issues, the army funding, the education and healthcare systems' issues, we are dealing with very important issues that every person can relate to," the speaker told journalists following the president's State of the Nation Address in the parliament earlier in the day. In her speech, the president said that "the parliament – the bastion of freedom fights – is turning into a shooting gallery for attacks against freedom and democracy, with random shots taken only to ban and penalize." 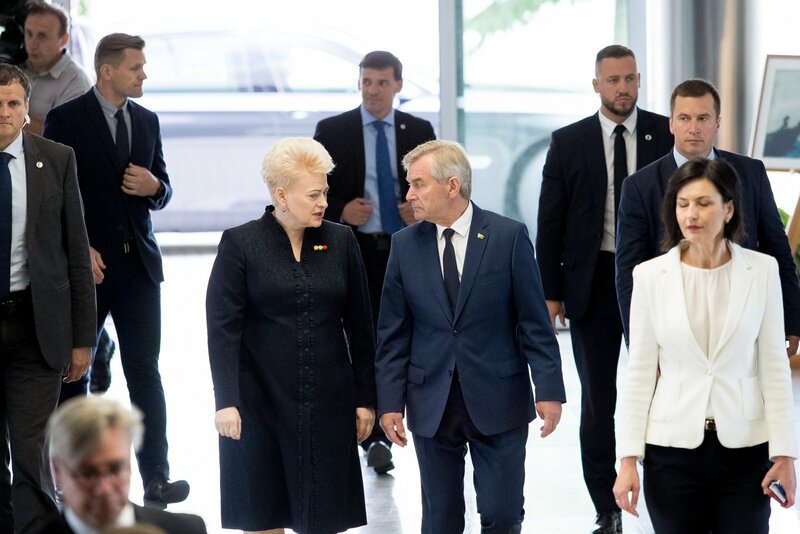 According to the president, "the people of Lithuania, with their hopes and concerns, are still on the sidelines of the political agenda, while the time mandated to the nation’s representative institution is used for inner bickering and settling of personal accounts." Pranckietis also rejected the president's criticism over selective parliamentary control.